Dr. Malaby is an author at the blog Terra Nova, and his research papers in progress can be found via his author page at the Social Science Research Network. 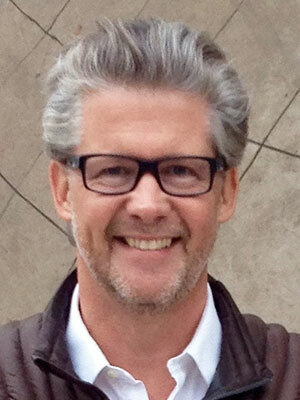 At UWM, he typically teaches the introductory graduate seminar in cultural anthropology, with other courses offered at several levels, covering various topics across his research areas. Malaby, T. M. (2013). Comment on “Toward an Anthropology of Computer-Mediated, Algorithmic Forms of Sociality". Malaby, T. M. (Ed.). , 6(54), 734-735. Malaby, T. M. (2012). Digital Gaming, Game Design, and its Precursors. Miller, D., & Horst, H. (Eds.). Digital Anthropology, 288-305. Oxford: Berg. Malaby, T. M. (2011). These Great Urbanist Games: New Babylon and Second Life (reprint). Petro, P., Hall, L., & Aneesh, A. (Eds.). World Making: Media, Art, and the Politics of the Global. Rutgers University Press. Malaby, T. M. (2009, June). Making Virtual Worlds: Linden Lab and Second Life. Cornell University Press. Malaby, T. M. (2003). The Currency of Proof: Euro Competence and the Refiguring of Value in Greece. Social Analysis, 47(1), 42-52.